Historics’ forthcoming sale at Brooklands promises a feast for fans of Ferraris, with no less than 10 cars spanning 35 years, and a combined value of over £750,000, up for auction on Wednesday 18th May. Prince among them is one of just 158 rare right-hand-drive 365GTB/4 ‘Daytona’s’, that was once loaned by Maranello Concessonaires Ltd to HRH The Prince of Wales, and later starred in the BBC TV show ‘Top Gear’, in a race between from Portofino to St Tropez. Along with a second Daytona, a 1970 ‘Plexiglass’ that was number 181 off the production line, both of the Pininfarina designed GT’s are expected to fetch offers in the region of £180,000 - £210,000. Equally evocative was the Dino - named after Enzo Ferrari’s son - and the first mid-engine production Ferrari remains one of the best handling and most gratifying sports cars of its era. 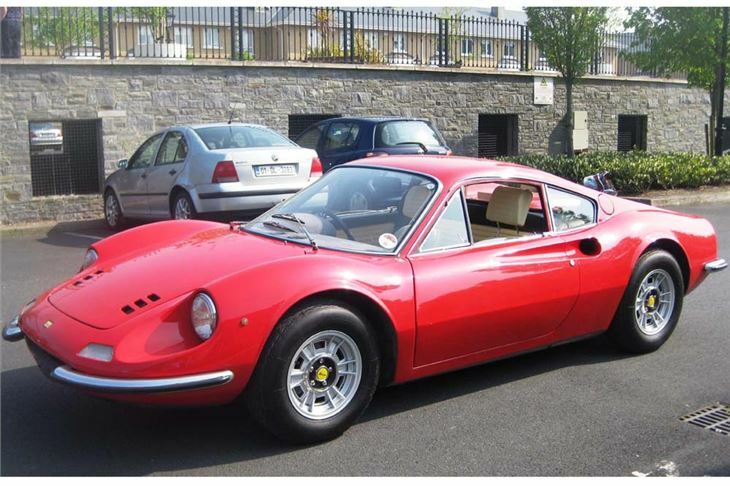 The 1971 246GT Dino offered by Historics is presented in the classic Rosso Corsa with Crema leather colour combination, and having covered just 63,000 miles since new, is anticipated to generate bids between £80,000 - £100,000. 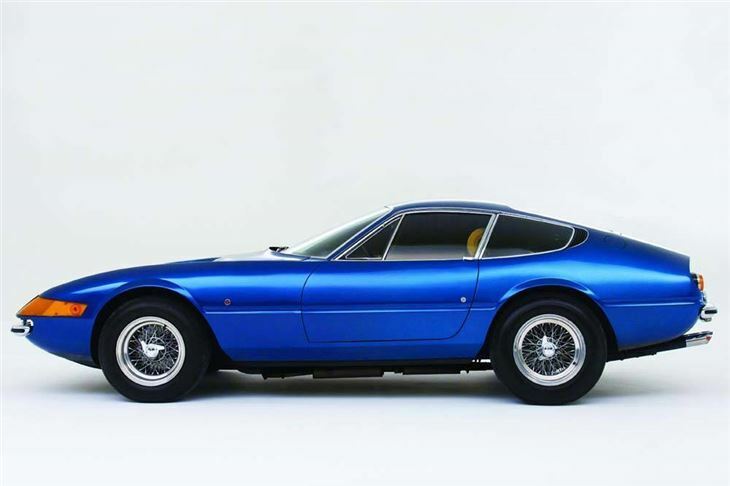 Borrowing traits from both the Daytona and the Dino, Ferrari’s first Boxer, the 365 GT4 BB – with the flat-12 engine mounted longitudinally rather than transversely – was replaced in 1976 by the 512BB which sported a larger 4,942cc engine, dual plate clutch and dry sump lubrication that highlighted its impressive performance. The Bosch K-Jetronic CIS fuel injected engine was introduced in 1981 to the last of the 512 series, and as such the 512BBi has become highly collectable. 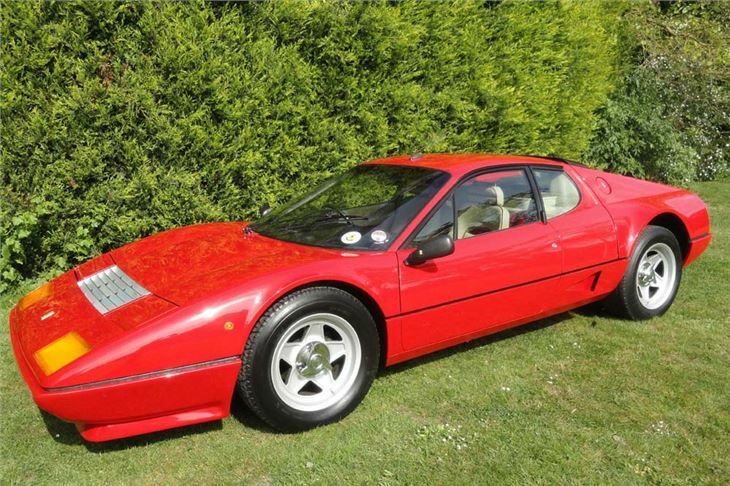 With chassis 46753 for sale at Historics auction next week being one of just 42 UK right-hand-drive cars produced, and widely considered as one of the lowest mileage cars of its kind available today – covering just 13,000 miles since new – the 1983 512BBi is likely to entice bids in excess of £85,000. Proving that they could also make ‘family’ cars, Ferrari introduced the 250GTE, their first standard production 2+2, which was designed to compete with the Aston Martin DB4 and Maserati. Production ceased in 1963, and despite being used latterly to re-create the iconic 250GTO, the 250GTE is a stunning car in its own right. 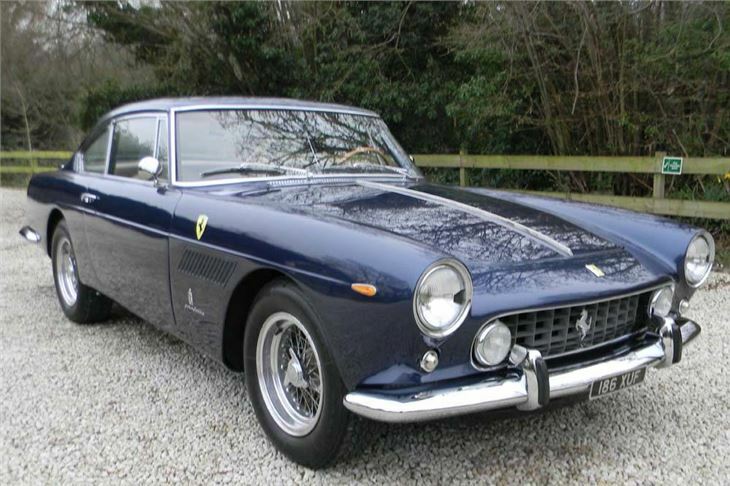 Historics example is one of 955 manufactured, with the 1961 car in Blue Sera coachwork likely to attract interest around the £90,000 - £100,000 mark. 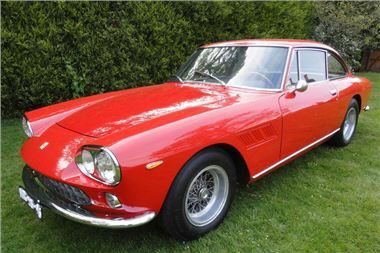 The 250’s successor was the Ferrari 330, and although the first 330 America model was effectively a 250GT/E with a larger engine, the 330 GT 2+2 was a unique car in its own right. With a sharper looking nose and tail, quad headlights and a wider grille, the extra 50mm in the wheelbase over the 250 model privided uprated handling. Prior to the introduction of the Series II 330GT, a number of ‘interim’ cars were built, which retained the looks of the Series I but mated the mighty 4.0L engine to an all-new five-speed gearbox, and it is one of these 125 examples which Historics have consigned to their Spring sale. Having been housed for many years in a Portuguese museum, the car is in excellent condition and is hoped to attract offers in the region of £70,000 to £80,000. Along with both 365GTB/4, Historics Spring sale will also present a pair of 456s, the first front-engined Ferraris for 20 years, and a design that paid homage to the aforementioned Daytona through the long bonnet, retractable headlights and configuration of the cabin envelope and tail. Both cars have an estimated value of between £20,000 - £28,000 with the 1995 Verde Inglese (British Racing Green) model previously owned by actor, comedian and acclaimed classic car aficionado and historic racer, Rowan Atkinson. Completing Historics varied and highly desirable line-up of cars from the foremost Italian manufacturer, are a 1997 Ferrari 355GTS and a 1984 Mondial Quattrovalvole, both offered in the most desirable paint and trim combinations, and anticipated to fetch offers in the region of £25,000 - £32,000 and £13,000 - £16,000 respectively. For more information, and to attend the Historics at Brooklands auction on the afternoon of Wednesday May 18th, call 0800 988 3838, e-mail: auctions@historics.co.uk, or see the website, www.historics.co.uk. Entry by catalogue only, available prior to, or on the day of the auction.